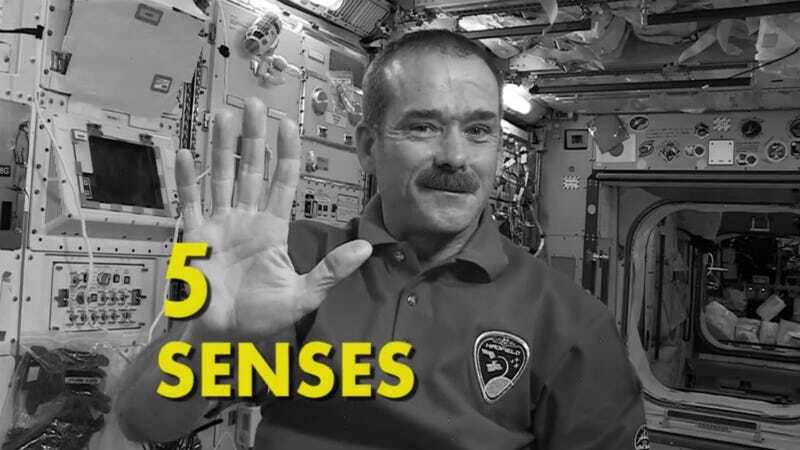 Commander of the International Space Station and awesome-stronaut Chris Hadfield just finished a weeklong series called “Senses in Space,” where he describes what spending a long time in space does to each of your perceptions. And apparently, space is generally pretty bad for you. In the following five videos, Hadfield talks about blurred vision, loss of taste, and other unpleasant effects of the low-gravity environment—but all with his characteristic good cheer.